We are closely monitoring the destructive Camp, Woolsey, and Hill wildfires in Northern and Southern California. Our thoughts are with the thousands of people who have been affected. T-Mobile is tracking the situation, including any impacts on our network, and actively evaluating the ways we can best assist our customers and employees. Significant progress continues to restore our network across impacted areas in both Northern and Southern California, and we will continue to make repairs as site access, air quality and fire conditions allow. Northern California: In the greater Sacramento area (Camp fire), a limited number of sites remain impacted due to power or third-party transport issues caused by the fires. However, all local evacuation centers currently have service. We have Cell On Light Trucks (COLT) and Cell on Wheels (COW) in the area, and have set up an emergency operations center there with WiFi and supplies to assist first responders. Southern California: In the northern Los Angeles area (Woolsey, Hill fires), we’ve restored a significant number of sites with fiber damage since Friday evening with our network partners. There are a limited number of additional site outages due to power and third-party transport issues, but we are monitoring and adjusting our network accordingly to provide coverage. For both markets, we’ve deployed network resources like Cell On Wheels (COWs) and Cell On Light Trucks (COLTs) or utilizing satellite backhaul to provide coverage and/or capacity improvements where it’s safe to do so. Starting Friday, November 9, we are offering free calls/text/data to T-Mobile, and Magenta prepaid customers in affected areas who are not already on an unlimited plan. (Pay as you Go and postpaid plans that do not include data will receive free talk/text only). For Metro by T-Mobile customers, we are not suspending accounts for non-payment starting Nov 10th for the customers in the affected areas. We are also suspending collections for impacted customers. For questions about your account or service, visit www.my.t-mobile.com or call 611 from your T-Mobile handset. We continue to monitor the impacted communities in both northern and southern California, and as needed, T-Mobile relief trucks will be deployed in affected areas to offer connectivity, USB cables, chargers, battery packs, masks and toiletries. When deployed, we will update specific locations here. 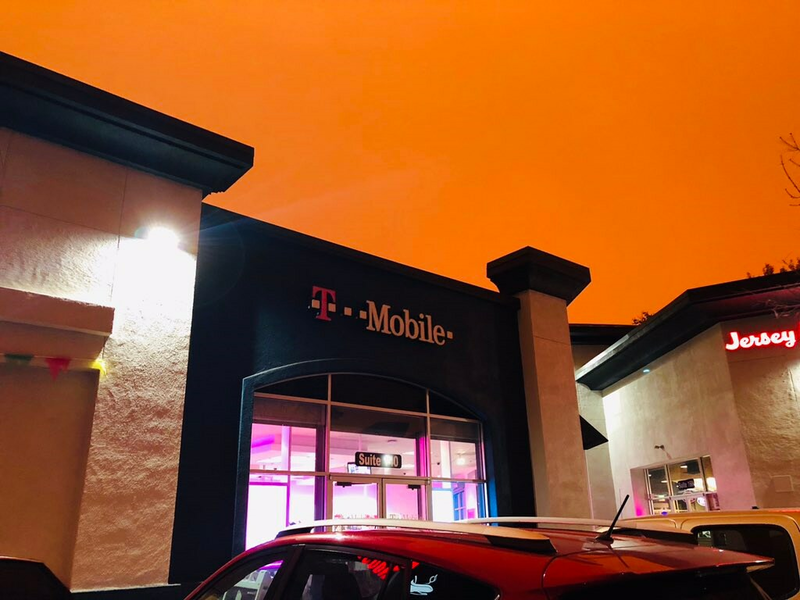 In addition, T-Mobile and Metro by T-Mobile are monitoring the impact of the air quality on the companies’ indoor locations, and will evaluate if store closures are necessary. Please call your local store to confirm status. We advise the community to continue to monitor their local air quality conditions, use masks or respirators when available, and remain in indoors if possible.